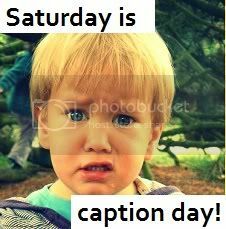 What is your caption for today? Have you seen Rudolphs’s nose? Now, what time do we wake Mummy & Daddy tomorrow?? wait till she she’s what daddy’s bought her! Do you think anyone will guess which of us is the real santa?? Santa without the beards is confusing!